Far too many times we have been hearing this phrase ‘money politics’ over and over again here. Yesterday, however, I found a cute book on money poetry instead at the kids section of M/PH. I was actually looking for more of Ma/donn/a’s book as I just managed to find one the other time. 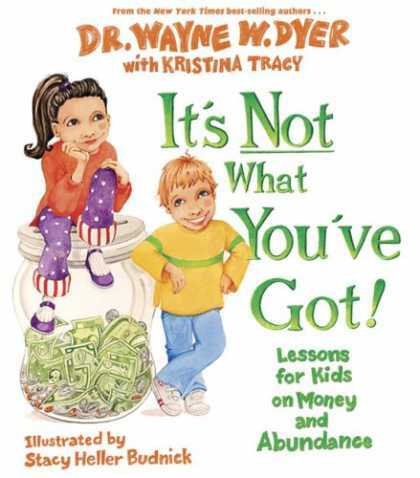 But I found this book instead, which I found to be a really cute way of teaching kids about money and self-worth– via poetry. Some people think that you are what you’ve got and that your toys, clothes and car really matter alot These things are all fun, there’s no denying it’s true– but the things that you own have nothing to do with you If you took them away, what would there be? All the things about you are harder to see! Something tells me that this book, with its colourful illustrations is not just for the children. Many times the value of a human is placed upon how many of the worldly possesions he/she has. I realised that especially since living here, that sometimes those who carry the title ‘Yang Berhormat’– rich that they may be, perangai mereka jauh daripada yang patut dihormati. ( One who carries the title of The Respected one but who is not respectable in character nor behaviour ). Another irony of life I came close to here, is a person whom I personally know, who called a family from a kampung here, ‘orang susah’ and ‘kesian diaorang miskin’. This said family from kampung is self -sustained with their farming, lives on their own plot of land ( tanah pusaka ) and lives in a simple kampung house with the only mode of transportation being the father’s motor kapcai. They have zero debt because they live within their means and just spend on what they need. I doubt they even know the branded luxuries out there other people compete for. The person who called this kampung family ‘orang susah’ and ‘kesian orang miskin’, drives a BMW, lives in a luxurious condominium and the whole shebangs of the house renovation– all on credit and bank loans. Car, condo, renovation– lifestyle basically on credit. Hutang keliling pinggang kind of lifestyle but stylish no doubt. So seriously, siapa yang sebenar-benarnya miskin ni? The self-sustained family with no debts but lives too simply? Or the one who lives on stylish/posh lifestyle powered by debts? Although the account above is that of a personal encounter, in this capitalistic world that we live it, it is not an isolated case. Hence I find the book an interesting tool to teach kids on the importance of having the right perspective. This entry was posted in Books by Percicilan. Bookmark the permalink. Hey, aren’t the madonna books expensive? Really pretty and nice I almost bought a copy myself but the price tag was too much! Good quality kids books especially the ones with Newberry and Caldecott medals are expensive because of their contents and illustrations but I always find they are good investments… in fact the book above is Rm 57, hardcover..